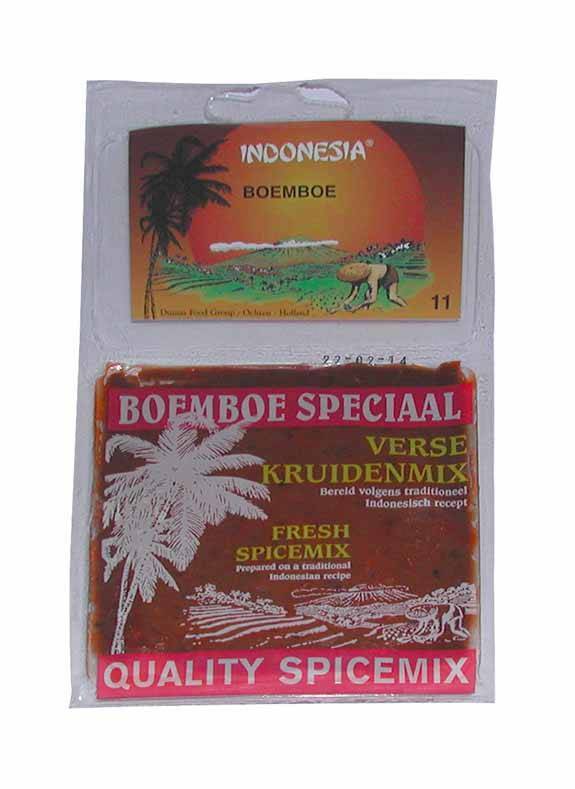 Fresh spice mix for Oblok Oblok, this is a well known Indonesian dish with tofu and tempeh. 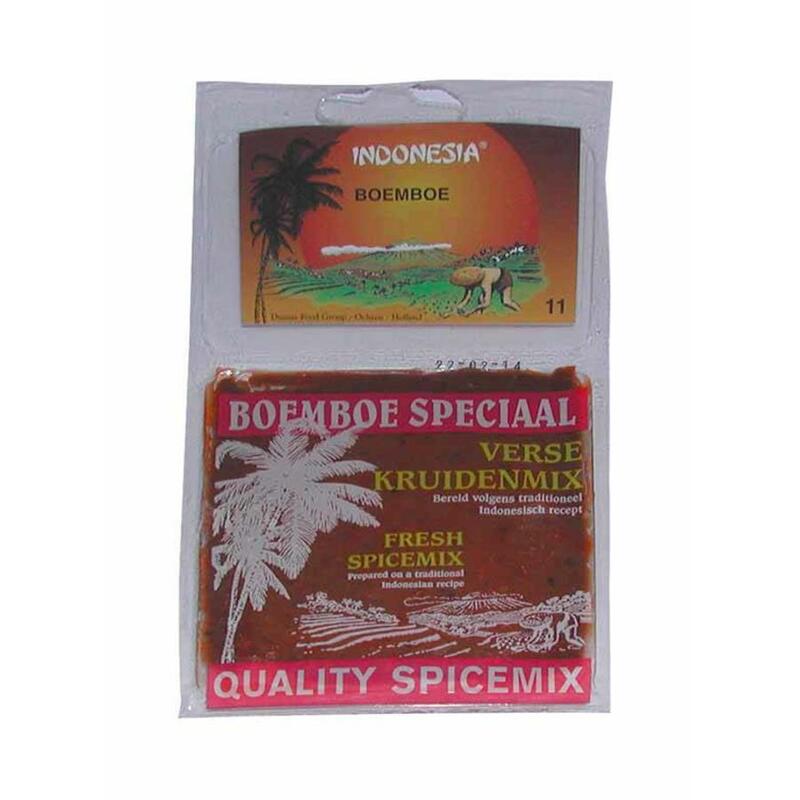 Ingredients: Onion, red pepper, flavor enhancer (E621), salt, vegetable oil, coconutmeat, water, garlic, galanga, sugar, acetic acid (E260,E262,E326,E330), wheat flour, sator beans, shrimp, limeleaves, preservatives (E200,E210,E211), tapioca flour, antioxidant (E310,E320). 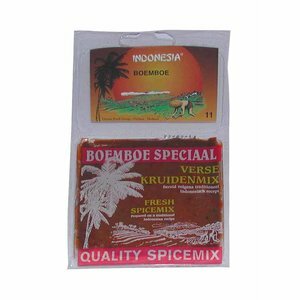 This product contains gluten, wheat, crustaceans and shellfish.